Grey County is excited to continue the conversation we started in 2016 about the rural renaissance at the intersection of agriculture and technology. The second installment of Ag 4.0 was held on Friday, November 24, 2017 at Meaford Hall. This summit shone a light on global challenges and local opportunities and we celebrated successes, acknowledged problems to be solved and inspired creative engagement between ag and tech. Ag 4.0 was one of the key initiatives to help Grey County be recognized as one of the Top7 Intelligent Communities of 2017 by the Intelligent Communities Forum. Join us at Ag 4.0 this fall to learn why. Our lives are powered by the internet. We rely on getting and staying connected for everything from growing our businesses to watching the latest TV shows, from completing post-secondary degrees to communicating with health specialists across the globe. Connectivity is so essential that the United Nations has declared internet access to be a human right. But fibre-optic networks will just be "glass in the ground" if we don't work as a community to make sure we have the knowledge and skills required to take advantage of the opportunities created by connectivity. That's why we're working to make Grey County a “Connected County." Explore this page to learn more what makes an intelligent community. Read about key projects happening throughout our region and stay up to date on the latest news and events through the blog. If you want to work with us to create connections and promote sustainable prosperity in Grey County, get in touch. We want to hear from you. What makes an intelligent community? Broadband is the next essential utility, as vital to economic growth as clean water and good roads. Whatever the speed, broadband connects your computer, laptop or mobile device to billions of other devices and users around the world. Broadband has become integrated into our physical world. It has revolutionized the way we work, play, live educate and entertain ourselves. It even impacts how we govern and relate to the world. Today, all desirable jobs in industrialized economies (and increasingly in developing economies) require a higher level of knowledge than they did in the past. Employees apply their knowledge and specialized skills to add value and justify their employment. In the future, any employee whose “value added” doesn’t exceed his or her salary can expect to be replaced, sooner or later, by software or hardware. Continuously improving and involving skills is the only route to personal prosperity. Innovation is essential to the interconnected economy of the 21st Century. Intelligent Communities pursue innovation through an “innovation triangle” relationship between businesses, government and community institutions such as universities and hospitals. Together they create an innovation ecosystem. It engages the entire community in positive change and promoting local community and economic development. Investments in innovative technology by government contribute to that culture and improve service to citizens while reducing operating costs. Digital equality is a simple principle – everyone in the community deserves access to broadband technologies and the skills needed to use them. Like most principles, it is easier to understand than it is to live. The explosive advance of the broadband economy has worsened the exclusion of people who already play an outlying role in the economy and society, whether due to poverty, lack of education, prejudice, age, disability, or simply where they live. The broadband economy has disrupted industries from manufacturing to retail services, enlarging the number of people for whom the digital revolution is a burden rather than a blessing. The core to sustainability is to improve current living standards and maintain ability of future generations to do the same. Throughout human history, economic growth has always involved the consumption of more resources and the production of more waste. As humanity begins to push up against the limits of the ecosystem to provide resources and absorb waste, we need to find ways to continue growth – with all of its positive impacts on the community – while reducing the environmental impact of that growth. It is all too common for a community’s leaders or groups of citizens to resist changes that could ultimately benefit the community. The willingness to embrace change and the determination to shape it are core competencies of the intelligent community. Few places naturally possess those competencies. They must be cultivated, often over years, through advocacy. Grey County travels to New York City to attend the Intelligent Communities Foundation Summit. The three-day summit brings together leaders from cities and regions all over the world to share stories and best practices about digital equality and community prosperity. Grey County participated as a 2017 Top7 Intelligent Communities of the Year finalist. On February 9, 2017, Grey County was named one of the Top7 Intelligent Communities of 2017 by the Intelligent Community Forum (ICF). The Top 7 announcement was the second stage in the ICF’s annual Intelligent Community Awards, with the third and final stage of naming the Intelligent Community of the Year in June, 2017 in New York City. Grey County is home to exceptional innovation in agriculture, food, and rural entrepreneurship. We work with leaders at home and abroad to make sure we're delivering the tools that our communities and businesses need to succeed. That's why we're shining a spotlight on creative technological innovation in agriculture. The official conversation kicks off November 2-3, 2016 with the Ag 4.0 Summit + Innovation Tour. The Summit will take place on November 2, 2016 at Meaford Hall and the Innovation Tour will visit locations across Northern Grey County on November 3, 2016. Together, we're building great things in Grey County and promoting sustainable, innovative, prosperous communities and leading the rural renaissance.  During the summer of 2016, Grey County redeveloped and re-launched a newly refreshed web presence at www.grey.ca. The website was rebuilt in-house using Drupal, an open-source platform, and features easier to navigate pages, more interactive content, and more opportunities for citizens to feel better connected to their county government. On July 26, 2016 at the London Roundhouse in London, Ontario, the Governments of Canada and Ontario announced they are investing in the Southwestern Integrated Fibre Technology (SWIFT) project with contributions of $90 million each towards the total project cost of approximately $281 million. This investment will support the expansion of access to broadband by delivering fibre optic coverage to over 350 communities with a total population of 3.5 million across Western Ontario, as well as Caledon and Niagara. Grey County has played a significant leadership role in developing the SWIFT Initiative, with Director of IT Geoff Hogan serving as the SWIFT Technical Lead through a partial secondment and Ashleigh Weeden, Project Lead - Connected County Initiative, providing communications support through a partial secondment. Grey County was key to the early stage development, with former CAO Lance Thurston and former Warden Duncan McKinley leading the SWIFT Committee during its formative months. This project has been developing since 2011, with the funding announcement representing a significant achievement by Grey County and the Western Ontario Wardens' Caucus driven by five years of advocacy and leadership in building #broadbandforeveryone. On February 18, 2016, Grey County hosted the Second Annual Warden's Breakfast, which gives local business and community leaders the opportunity to network with elected officials and County staff as well as learn more about progress towards economic development goals. In 2016, the Connected County project was front and centre as a central focus of promoting community and economic developmnet for Grey County. Click here to view the Economic Development Update presented at the 2016 Warden's Breakfast. Working with an extensive list of community partners, local experts and industry champions, we gathered data and stories about Grey County's current progress toward becoming an intelligent community and submitted an application to the Intelligent Community Forum's Intelligent Community of the Year Awards Program. Our co-signatories to our 2015/2016 application included Warden Kevin Eccles, Gemma Mendez Smith, Executive Director of the Four County Labour Market Planning Board and Bill Van Wyck, President of The W.R. Van Wyck Group Limited. The Smart 21 short list will be announced on October 21, 2015. Through the online portal, Grey County will publish datasets in an accessible format so that information is machine readable and easily analyzed, while maintaining protections for personal privacy, security and confidentiality (as specified under the Municipal Freedom of Information and Protection of Privacy Act, R.S.O. 1990). “The County has created a vast amount of useful facts and statistics and we’re excited to start making this data more easily accessible and useable for interested members of our community,” said Director of IT, Geoff Hogan. On November 7, 2014, Grey County hosted a Master Class with Intelligent Community Forum co-founder Robert Bell. Over 80 local leaders and community stakeholders participated in a very interactive session, producing a broad range of ideas for moving Grey County forward towards becoming an intelligent community. Recommendations on immediate and future next steps regarding these strategic areas have been collected from community input provided at the Master Class, as well as actions listed in the implementation plan for the Made in Grey Economic Development Strategy. These action items have been matched with high-level metrics suggested by the ICF for communities to self-evaluate their efforts to become more connected and intelligent and outlined in the Connected County work-plan, which will be tabled to County Council in October 2015. In April 2013, Cisco was hired to perform a Smart and Connected Communities (S+CC) diagnostic exercise and develop a high level service strategy for Grey County. Cisco completed a series of in-person interviews and surveys with stakeholders across Grey County. Completing the S+CC process established Grey County as the first community to be analyzed as part of the South West Economic Alliance (SWEA) Intelligent Region project, which worked with communities across Southwestern Ontario to complete the benchmarking study piloted here in Grey County. As a starting point, the County took part in an initial qualitative assessment of our readiness to compete globally, using an assessment tool created by i-Canada called, the i-CAT; short for Intelligent Community Assessment Tool. This was a pilot project, paid for by SWEA, to explore the merits and local applicability of the Intelligent Community development framework. Some 50 people from different sectors across Grey County were invited to complete the survey in May 2012, representing government, business, community services, health care, education and the general public. Results were considered typical for a rural area. I-Canada did suggest however, that Grey County is in a better starting position than most other similar municipalities analysed in Ontario to date. Participants ranked Grey highly for the environment, quality of life, finances and smart utilities. More information can be found in former CAO Lance Thurston's report "Towards Creating an Intelligent Region." Grey County was proud to participate in the 2017 Intelligent Communities Forum Summit to tell the world about their intelligent community journey. County to compete for the title of 2017 Intelligent Community of the Year. On April 24 and 25, Grey County has the opportunity to show the world why it deserves to be named the 2017 Intelligent Community of the Year. The Smart21 recognizes communities worldwide that embrace technology to improve prosperity and inclusiveness.